In advance of the Academy offering its nominations next week, I thought I’d weigh in on a few films I’ve had the pleasure of watching this fall. First off, why is it that the only films to get nominated are released post-Halloween? I realize the holiday season is a great time to see movies, but rarely is a March release or even a summer release nominated for a major award. 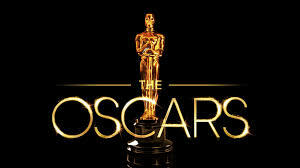 The Oscars lowered the bar a few years ago and started nominating however many movies they thought ought to be nominated, instead of a fixed number. Seems like a good idea, one that I’d love to see incorporated in other parts of life. Like the NFL. Clearly, there should have only been three or four teams in the playoffs this year. But no, we still had to go through two fairly meaningless rounds to find ourselves where we knew we’d always be. What if we decided to do more than two readings of scripture on Sundays? What if we felt like doing eight or ten? I mean, if they’re good, why not use them? 4. Manchester-By-The-Sea. This movie will get a lot of pull because of the serious nature of the storyline, as well as the desperately haunting performances by the leads Casey Affleck and the always magnificent Michelle Williams. Unfortunately, the screenplay does not build the necessary tension for the explosive scene that serves as the summit of the film. So there. It’s still a fine film, and Affleck will be a co-favorite for Best Actor. 3. LaLaLand. Or is it LALALand? Or Lalaland? I don’t know, and it shouldn’t matter because it’s a really nice, fun piece of film. And as I’ve said often before, Hollywood loves nothing more than movies that remind itself how wonderful it is, in spite of broken dreams and shattered hearts. This film, in the same vein as The Artist, explores how people get mixed up in the Industry, and if they can just stay true to themselves, and believe in themselves, when they are at their lowest, things will turn up Millhouse for them. Ryan Gosling and Emma Stone sing and dance their way through it all, and again, Hollywood loves nothing more than seeing two youngins' paying homage to the glorious past of Rogers and Astaire. Well, I never liked musicals. Not on the stage and not on the screen. And I loved this film. But it’s not the best film I saw this year. 2. Hidden Figures. I am more inclined to positively review films that are historical in nature, political in subject and progressive in tone. See Milk. Hidden Figures showcases the talents of Taraji P. Henson and Octavia Spencer, as well as Janelle Monae, Kevin Costner and emerging challenger to “My Favorite Actor” title, Mahershala Ali. Many displays of the racism faced by African-Americans, both overt and subtle are shown throughout the movie, and none are quickly dismissed or righted completely. It’s an impressive message, given the current state of race relations (and gender relations, let’s not kid ourselves) in this country. So it’s both feel-good, and real. Manchester is feel-bad, and LaLaLand is not real. So I liked this movie better. But my favorite movie of the year was Moonlight. This movie didn’t hang around Annapolis very long, if at all, but it is still playing up at Arundel Mills. That’s where I saw it. It’s the story of a boy who grows up in Miami, and comes of age realizing who he is in the world in which he lives. Beautifully acted by three separate actors, each time period contains its own lessons, and its own story arcs. Mahershala Ali was nominated for a Golden Globe for his supporting work in the first story. But the real beauty in the story is captured fantastically and realistically by the cinematography and the editing. Closeups, cuts and following shots all have a purpose, and nothing is wasted in this film. Sadly, I think this film won’t have enough heft to bring home many Oscars. LaLaLand, while not my favorite, is a good enough film to sway enough votes for Best Picture. I haven’t seen Moana yet, but what a year for animated films. I’ll be very surprised not to see an animated film up for Best Picture. Sing, Zootopia , Kubo and the Two Strings are all excellent movies for multiple ages. I’m also convinced that Sing takes place within the city of Zootopia. The sequel should be a story about Officer Hopps and Johnny. I don’t see movies about bad things happening to kids. I’m looking at you, The Shack. And Nocturnal Animals. I haven’t seen Lion, Fences, or Hell or High Water, but I hear they’re all fantastic. Here are two other movies I wouldn’t watch for free: Live by Night and Patriots Day. That’s all for now. I hope you enjoyed these reviews.